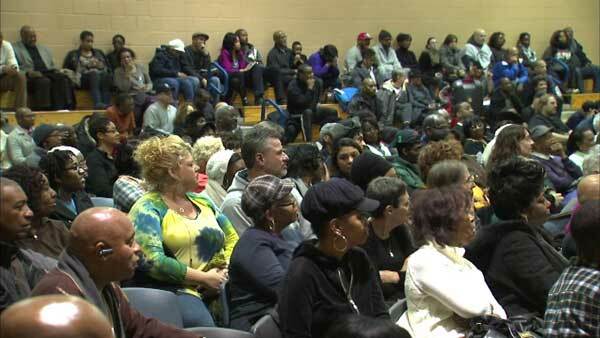 MATTESON, Ill. (WLS) -- A town meeting in south suburban Matteson was packed with people upset over a plan that would mean deep cuts to the police and fire departments. Matteson is faced with an $8 million budget deficit. The village board meeting was standing-room only Wednesday night, as leaders discussed laying off 13 police officers - nearly half the force - and eight firefighters. They are also considering leaving four positions in the fire department vacant. The cuts could take place as soon as next week. Matteson residents are worried about the impact on public safety. "It's detrimental, I think, to the community at large. We're talking increased response times, less personnel at the scene of a fire," said Scott Gilliam, president of the Matteson firefighters union. "Everybody's here, paying a lot of taxes," said Milton Brown, a Matteson resident. "You're going to tell us now that we don't have any money?" Village officials and the police and fire unions plan to begin talks over the proposed layoffs.